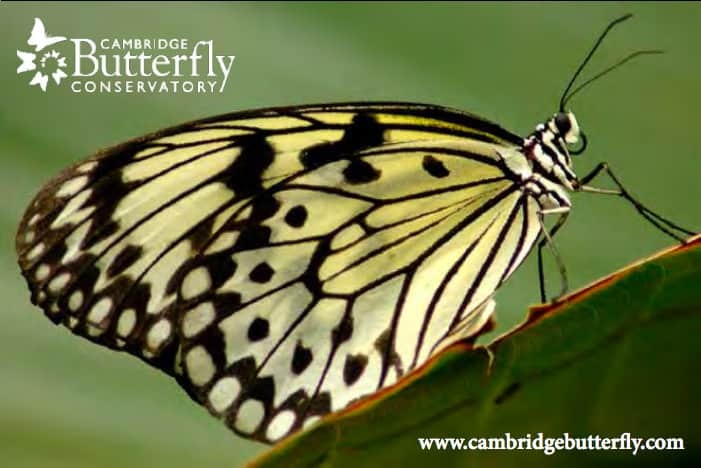 Learning takes flight at Cambridge Butterfly Conservatory! Your students will experience a one-of-a-kind sensory adventure, surrounded by 1000’s of free-flying butterflies in a lush, tropical garden. Our Nature Interpreters will lead your class through a variety of curriculum-linked, hands-on activities sure to inspire curiosity about butterflies and other insects and their importance in the natural world. Included in the program is the chance to meet our bugs up close with a tropical insect encounter! Outreach Programs: Can’t make it to the Conservatory? We’ll visit you! Our Nature Interpreters will deliver interactive, grade-specific programs right to your school! Visits also include an encounter with exotic critters from our Insect Petting Zoo!